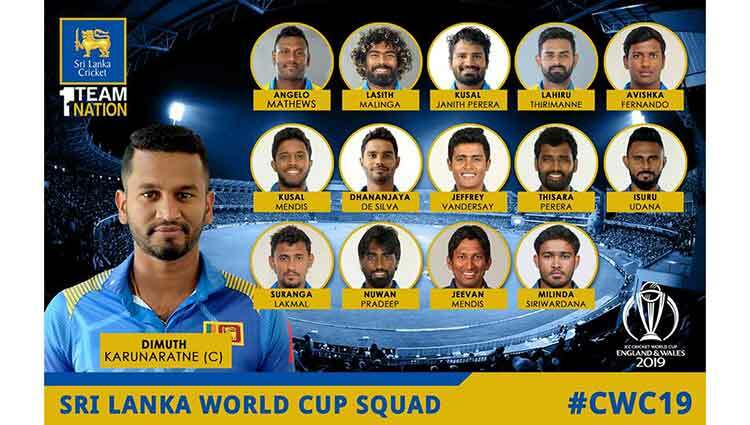 lanka C news | මට ඇමතිකමක් නොදුන් නිසා නිදහස් උත්සවය ගියේ නෑ.. හමුදා පෙලපාලි කොඩි පහත් කර සීරුවෙන් යමින් මට ගෞරව කල යුතුයි..
තමනට ඇමති ධුරයක් නොදීමට විරෝධය පල කරමින් හා ෆීල්ඩ් මාෂල් ධුරයට ගැලපෙන ලෙස ගෞරව කිරීමට සූදානම් කර නොතිබූ නිසා තමන් කොලඹ ගාළු මුවදොර නිදහස් උත්සවයට සහභාගී නොවූ බව පාර්ලිමේන්තු මන්ත‍්‍රී සරත් ෆොන්සේකා මහතා පවසයි. ෆීල්ඩ් මාෂල්වරයෙකු වන තමන් ඉදිරියට හමුදා පෙලපාලියක් පැමිණෙන්නේ නම් කොඩි පහත් කරගෙන සීරුවෙන් පැමිණිය යුතු වුවත් එවන් සූදානමක් සිදු කර නොතිබූ බවත් ඔහු සදහන් කරයි. කොළඹ පැවති නිදහස් දින රාජ්‍ය උත්සවයට සහභාගී නොවීම සම්බන්ධයෙන් මාධ්‍ය වෙත අදහස් පල කරමින් ඔහු මෙම අදහස් පල කලේය. අපි එජාප ආණ්ඩුවට මුළුමනින්ම විරුද්දයි එත් අමුඩයක් ගහගෙන ලිඳකට බැහැලා ලිඳ සුද්දකරලා මඩ නාගෙන අමුඩේ පිටින් ආපු මනුස්සයාගෙන් බලු බැනුම් අහපු ෆීල්ඩ් මාෂල් කෙනෙක්ට හමුදාවේ කොඩි පහත් කරලා ආචාර කරන්න පුලුවන්ද ?එක රටේ හමුදාවටත් රටටත් අගවුර්වයක් නේද ? 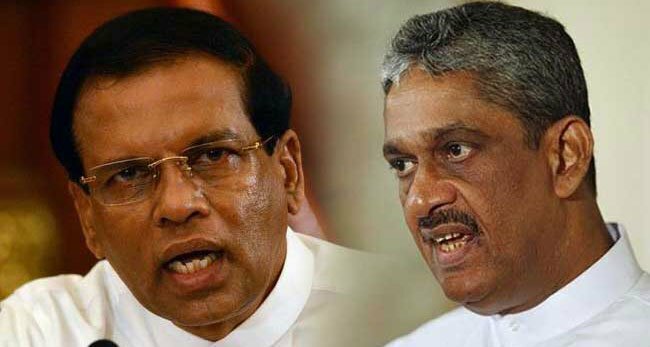 ගවුරවය ,පිළිගනිම ඕනා මනුස්සයා තම තනතුරේ ගවුරවය රැකගෙන වැඩ කරන්න ඕනා නේද ? 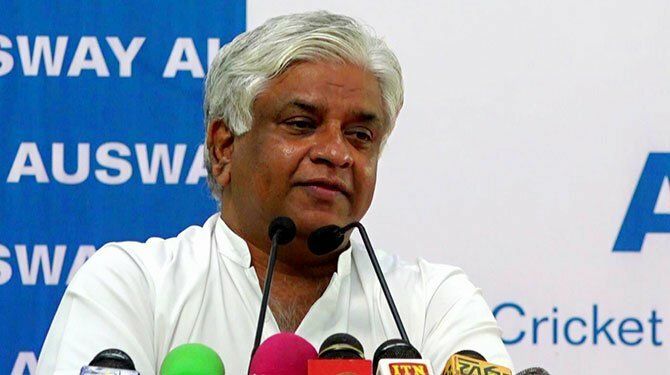 දන්නේ නැති දේශපාලනයක් කරන්න ගිහිල්ල රටත් අමාරුවේ දාලා තමනුත් ලංකා ඉතිහාසේ ලියවෙන විදියටම සවුත්තු උනා නේද ? රියල් කතාව රාලහාමි. 100ක් එකගයි. Mar-shale gen monavaa balaaporotthu vennada? Eyage nut burul velaa vitharak nevi halichcha thanavath hoya ganna puluvan venne naha. 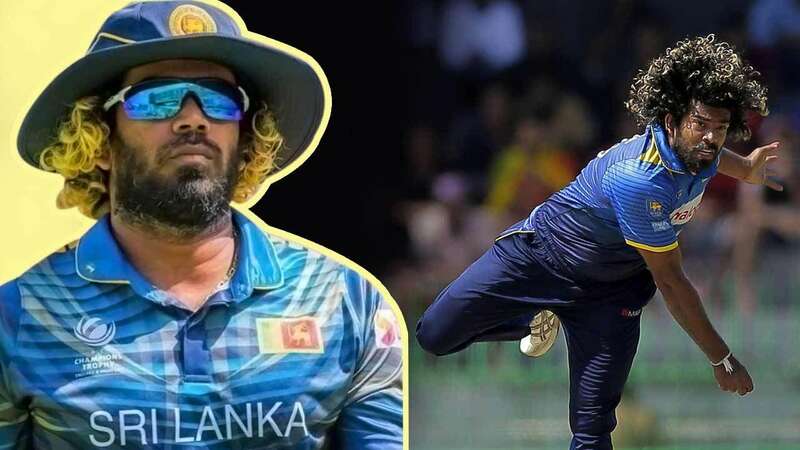 රටට අනවශ්‍ය සහ ෆොනියට නොගැලපෙන ‘වෙලේ විදාන’ පට්ටම වහාම ගංකබරයාගෙන් ගලවා දැමිය යුතුය්. දැන් තේරෙනවා නේද ෆොන්සේකෝ තමුන් තම කටින් නෙලා ගත්ත දේවල් වල විපාක සහ නිමා නොවන බල තන්හාවේ ධන තන්හාවේ විපාක ?. යුද්දේ දින්නට පස්සේ ගොන් හරක් වැඩ නොකර ගොන් හරක් කතා නොකියා වැදගත් විදිහට හිටියනම් තමුන් විරයන්ගේත් වීරයෙක් වගේ මුළු රටේම ජනතාවගේ ආදර ගවුරවය සහිතව ජිවත් වෙන්න තිබුනා .නමුත් ඒවා තේරුනාද ?නෑ කලවැද්දෙක් වගේ හැසිරෙමින් වලන් කඩේට පැන්න ගොනෙක් වගේ හැසිරෙමින් හැමෝටම අක්‍රෝශ අරිභව කරමින් ජිවත් වුනා .එදා හිතුවේ නෑ නේද මෙහෙම වේවි කියල ? 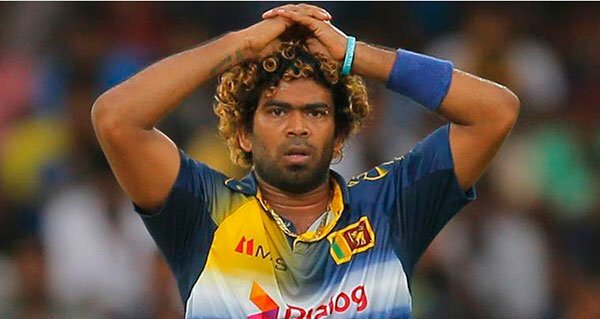 මේ තමයි ධරමයේ සත්‍යතාව .තමා ඔය ගත කරන ජිවිතේ යොමු වෙන්නේ අපහාසාත්මක අවසානයකට තමයි .මහා විරුවා අන්තිමේ පිචන් උනේ කාගෙන්ද ?තෙවරප්පෙරුමගෙන් නේද ? 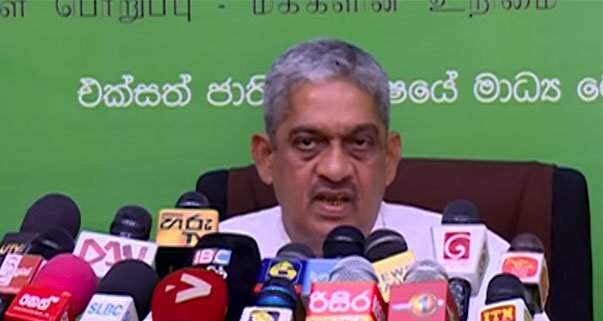 යකෝ මූට නං ෂුවර් එකටම ඔලුවෙ අමාරුවක් තියෙන්නේ. Pissek Katha karai. Hondata savan denna. JEPPO, TNA , PACHA RANAWAKA ,PRAAJITHA ,ME SIYALU WINAASAWALATA WAGA KIYANTA ONA. Show respect to elders and the officers and soldiers of armed forces. Give that General what he deserve. He is the one and only Field Marshal who brought victory to our nation. Don’t let me remind you by sending a white can that belongs to batagoya. Take care. Happy independence day to all our brothers and sisters in sirilanks. Kohen hina wennada therenne ne..! Me yodayawa ne JEPPO President karanna heduwe..! Ee tikama athi pahala samajikayanta (eth, molayak athnam pamanai..!) Anura Kumaraya saha nadaya therum gannata. Give respect to get respect. It is a two way thing. 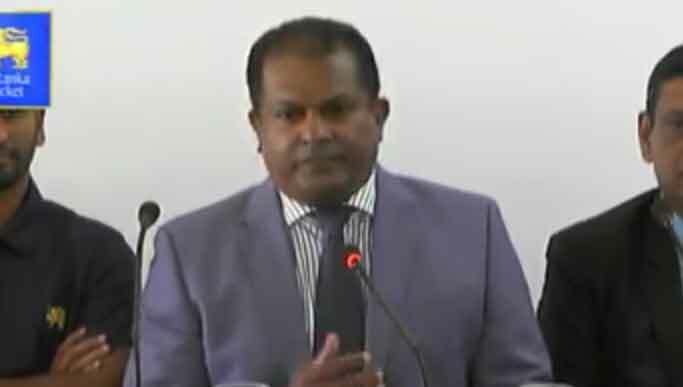 රනිල් ගෙ තක්කඩි ‘ජහපාලනය’ ආණ්ඩුව එදා වේල දේසපාලන වාසි තකා රටට අනවශ්‍ය වෙලේ විදාන කෙනෙක් හදල ලෝකෙ ම හිනස්සනවා. 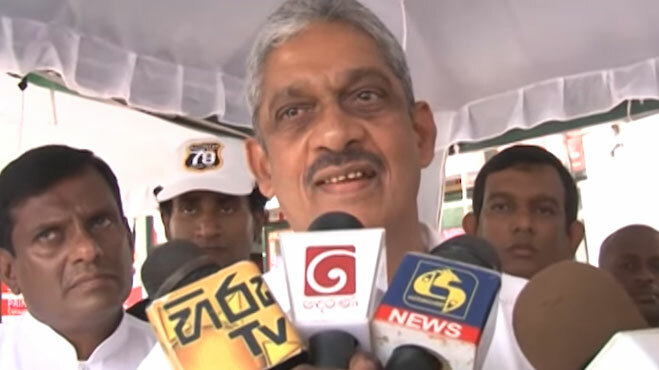 හමුදාවත් බාල්දු කරනවා. This guy is bringing the whole military ranking and honors system to utter disrespect! Wonder how he led the Army to victory. 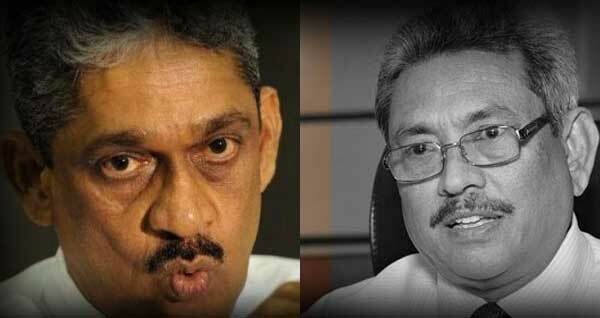 Pirabakaran must have been a real dumbo! Wilige kapuwama me ledey saneepa wei,,! මොහු රන් වළල්ලක් ගෙළ පැළඳි එක් මෝඩ බොහොඬෙක් පමණි. Filed Marshal post MUST BE Removed from this man. 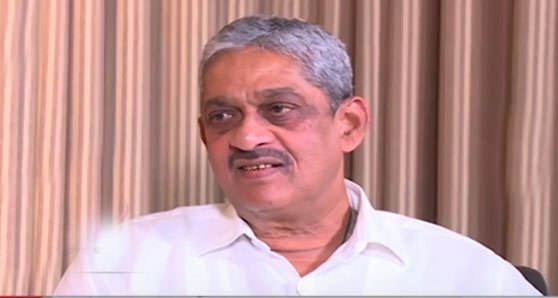 Sri Lanka did not go to war with another country for this man to award a Field Marshal Post. 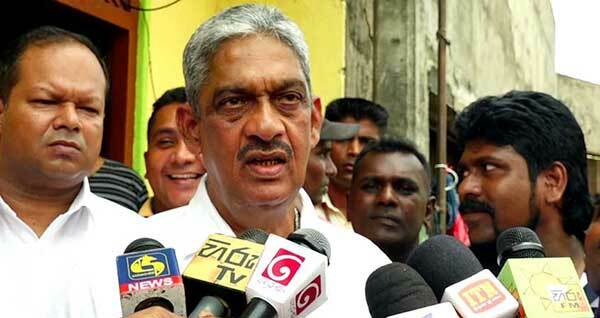 He must be STRIPPED from all his medals for the wrongful acts, treason he has committed against Sri Lanka. මෙය නිදහස සැමරීමක් විනා එක එක ගොන් වාහෙලාට කොඩි පාත් කරන උත්සවයක් නෙවෙයි..
පාලිත තෙවරප්පෙරැම ඔයාට ගරැ කරා මදිද?? fild masal kama labune udde nisa neeyi. ranilta kade giya nisayi. ekayi salakili adu. LANKAT ENDALADA wele widane…. Thoge walla eliye………………. This guy always speakes about himself others private matters. Never heard of speaking any thing about development of the country. Purposely used by Ranil to attack Rajapakse and others. Fonny is MAD IDIOT FULL OF HATRED .